Please note: VIP have now moved production of their cartomizers to the UK; while VIP say there has been no change made to the formula, some users have expressed that they have noticed a change in flavour. 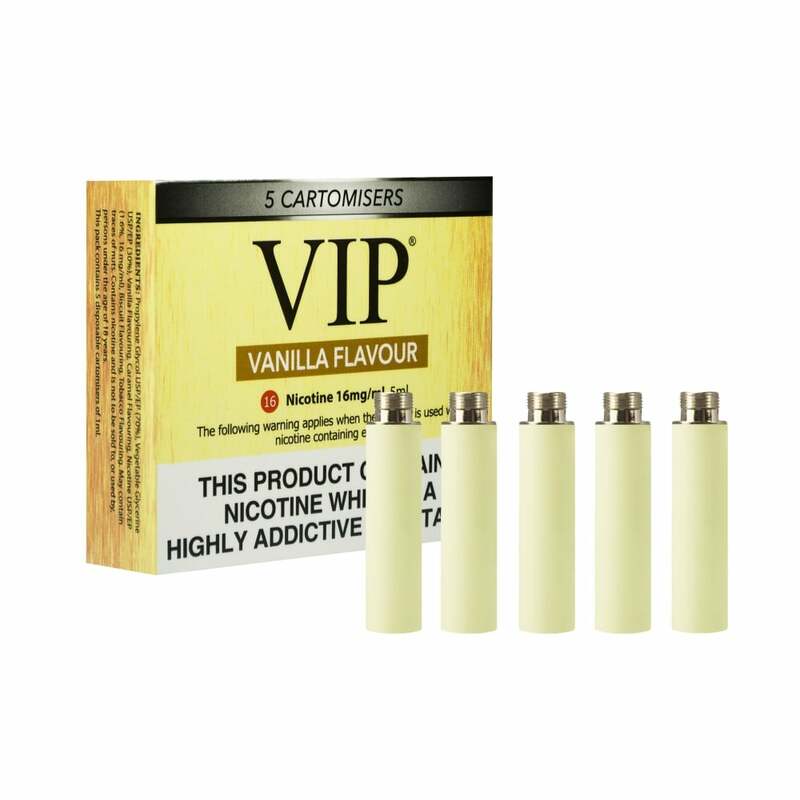 The VIP e-cigarette vanilla cartomiser refill pack produce a high amount of vapour, as also found in the VIP menthol starter kits and VIP disposable e-cigarettes. VIP vanilla flavour is sweet, as you'd expect, but not too sweet. Vanilla, a taste which never made it into mainstream tobacco flavours really works with the e-cigarette. Expect it to be the mainstay of the cigarette 'alternative' flavours. Quality is amazing! The vanilla flavour is by far the best, and VIP is a life-saver. Strongly recommend. First class service and product as advertised.